Nightlatches are modern compact locks designed to sit on the frame and the door itself – easy to install and swap out, these popular models retain just as much security as deadlocks and the more prevalent variation, sashlocks. We don’t just have nightlatches for entrance doors, either; we also sell a range of other entrance door ironmongery products, such as our lightweight yet sturdy mortice bolts for conservatory doors, garden sheds and other lightweight applications. Our beautiful centre door knobs offer stylistic flair for more unorthodox door setups and our elegant range of antique and contemporary door knockers is sure to contain something you’ll enjoy. Speaking of aesthetic appeal, our letter plates are available in a wide range of designs and metal finishes, much like our letter tidies. If your door is without a handle or doorknob, consider our selection of cylinder pulls for improved leverage and a sturdy frame for your lock. Alternatively, if you require any accessories or finishing touches like door chains and other components, we have a diverse variety of products on offer. Our numerals & letters for example come in several fonts, colours and sizes for that extra bit of identity on your front door, and our bell pushes provide excellent function with stylish subtlety. 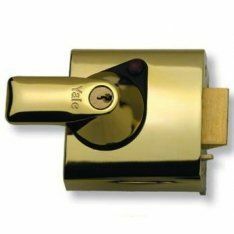 Finally, if you want an additional layer of security on your door, see our catalogue of door viewers for entrance doors. Whatever your construction and joinery needs - Ironmongery Experts delivers every time.